Black GPO 1/232 on a No26 GPO bell set. << Back Black GPO 1/232 on a No26 GPO bell set. 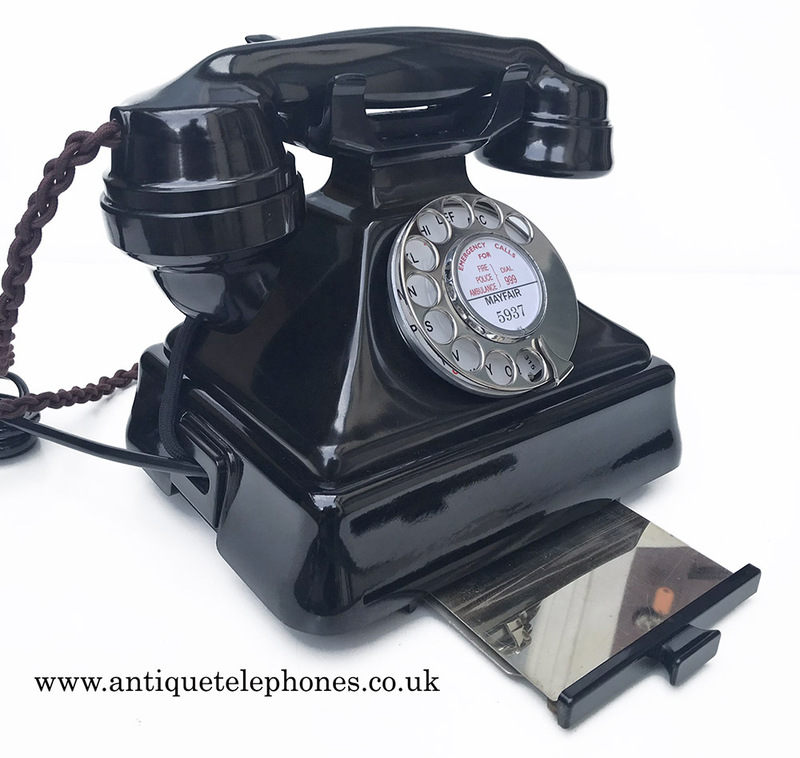 A lovely example fully restored and working with rare mirror drawer. 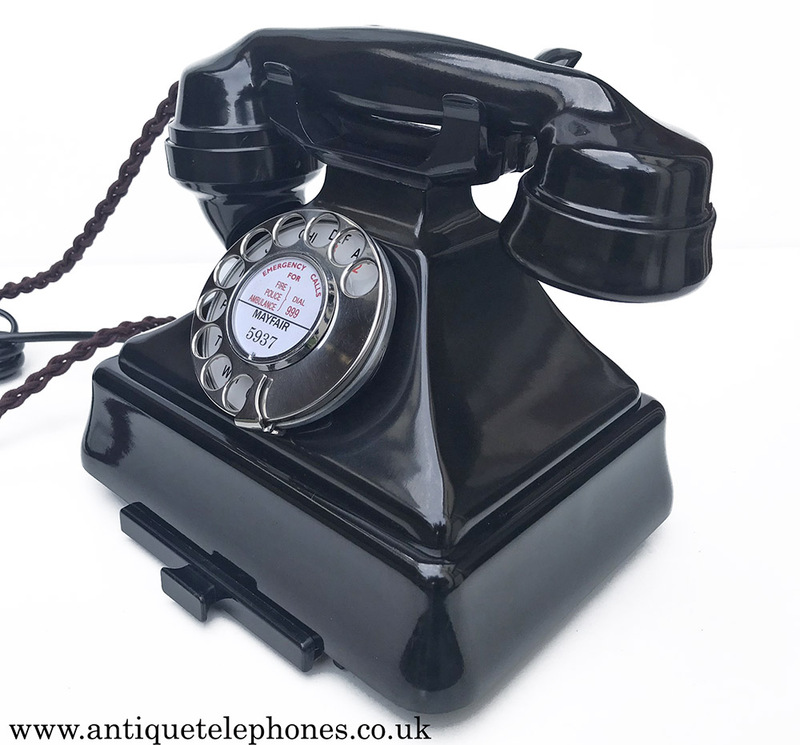 This is a beautiful black GPO 1/232 with beautiful rare mirror drawer on a genuine GPO No 26 bell set. 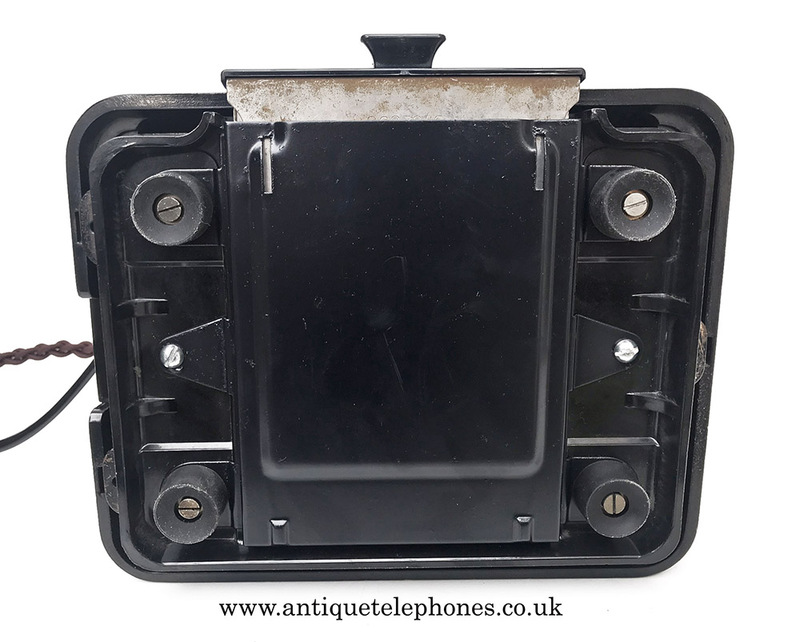 It has been stripped down and rebuilt after each part has been cleaned and polished. 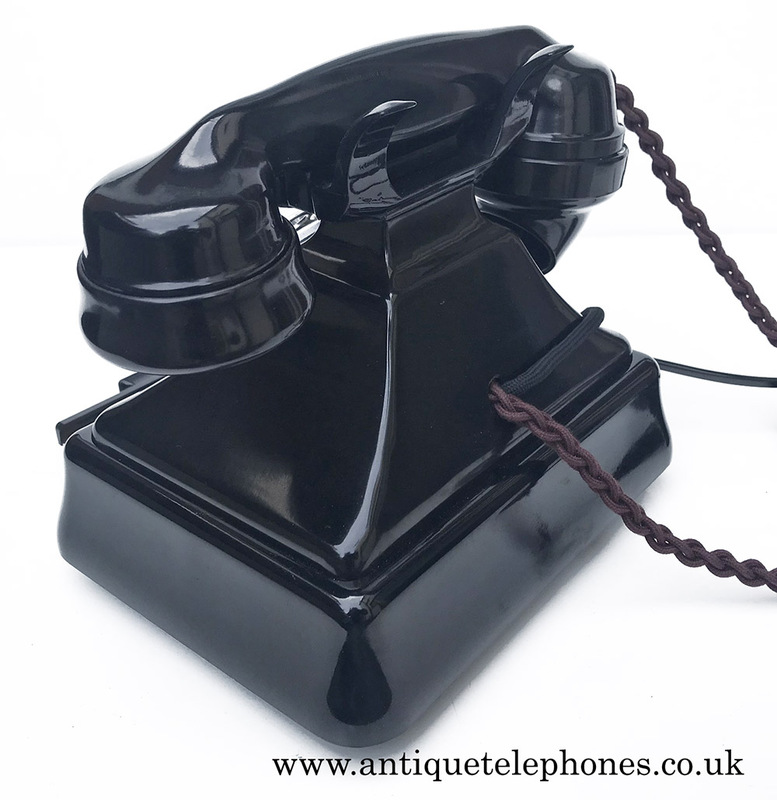 It has been fitted with a very best quality hand plaited braided handset cord, an electronic microphone and a D shaped plastic line in cord with a UK telephone plug socket made by me. 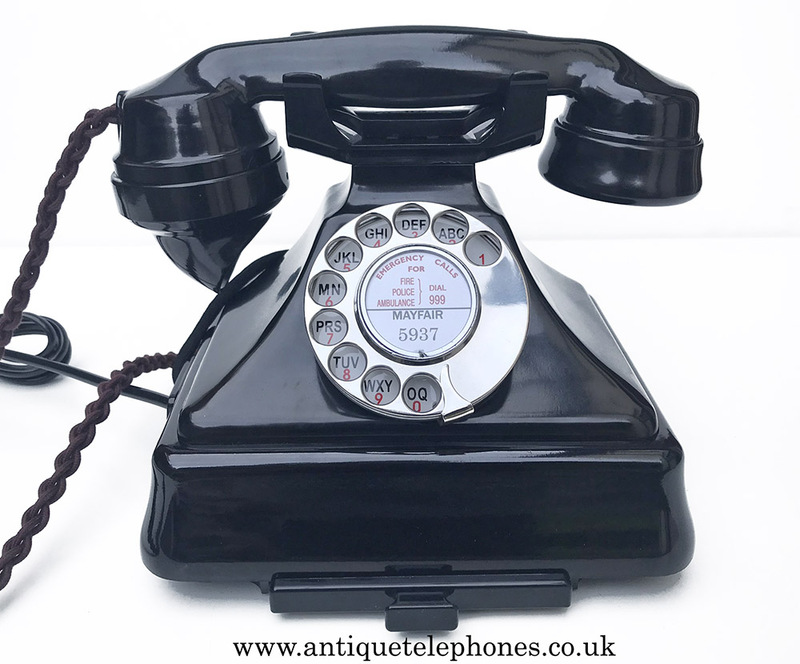 This has a genuine GPO No 12 alpha numeric dial face and stainless steel finger wheel and the handset is dated 1939. 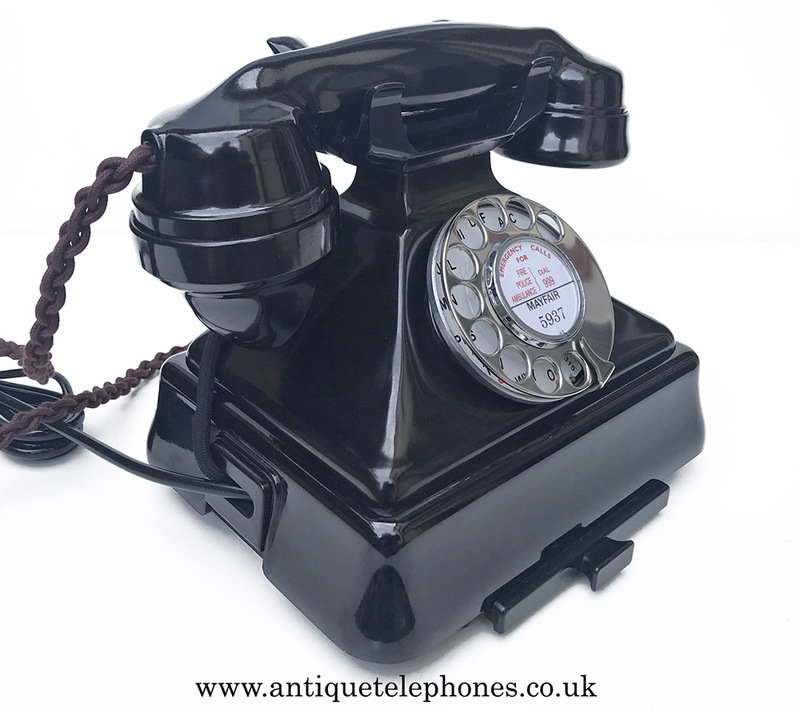 This telephone has been fully converted and working to plug in and go. As you can see it is very a nice example. I can make a dial label with your information at no extra charge. This model has a lovely double gong mechanical ring.